Being on the road, there are a few things that can’t be avoided such as traffic, stupid drivers, and snack breaks. This trend continues on the campsite where the occasional scraped knee or bump is not only likely but almost expected as part of being outdoors. In most cases, a quick trip inside our Fretz RV is all we need because of the first aid kit. Sometimes though, the kit was not restocked and the needed items are not within our grasp. No need to worry! 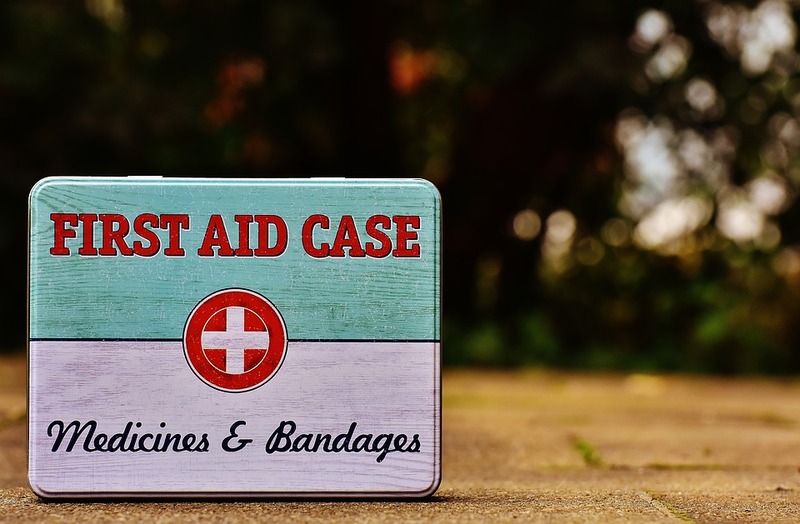 It’s quite likely that you’ve got the cure right on board with RV first aid. Below are a couple of the most common physical ailments and the healing counterpart. This one is bound to happen to everyone who enjoys camping at least once, especially if fire building is present. While collecting wood for fires, walkers, and tents would be best done with a glove, that is unlikely. One of the best things about traveling in a motorhome is getting your hands dirty and being active. Unfortunately, this eagerness is bound to get you stuck with a tiny piece of sneaky wood. Avoid infection or inflammation by applying a small dab of glue to the intruded area. Once it dries, peel it away in the direction the splinter entered, if possible. The short end of the wood protruding from the skin will attach to the stickiness and slide right out. Another ouch that can be tied to wood would be blistering. If you’re a climber, or are trying to start a fire the old fashioned way by rubbing sticks, this might have happened to you. There are, of course, many ways to come across a blister but they all lead to a painful bubble on the skin. As much as you don’t want to, you’ve got to pop it before it gets infected. Make sure to clean the area and your hands before proceeding with emptying the area of liquid. Once this has been accomplished, just drizzle some mouthwash on the spot and allow it to sink in. The chemicals will cleanse the wound and encourage healing of the skin. Do you have some motorhome remedies you’d like to share? Tweet us your helpful aids by clicking here. Feel free to give us a follow on our other social channels as well, such as Facebook, Pinterest, and Instagram.